Google Enables Multi-touch On The Nexus One; World Wonders "Why Now?" 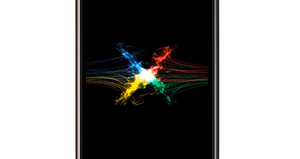 Just under a month ago Google launched its long awaited phone, the Nexus One. While there were many compliments around the device, there was also one very large complaint about how it lacked support for multi-touch in its Google applications. Flash forward to Feb. 2nd, and an over-the-air update to the Android system suddenly enables the missing feature in Browser, Gallery and Maps. Why now? What changed? And is there more to the story than we’re being told? Looking around the mobile industry, from Apple to Palm to HTC and Motorola – it’s clear that pinch-to-zoom technology has become a standard and popular way for users to interact with their mobile phones. Likewise, Android users can now truly benefit from this capability with the availability of Android 2.1, which powers a new class of devices with larger touchscreens and more interactive features. Unlike past devices, these phones have the processing power to deliver pinch-to-zoom, while still providing a great user experience. Based on these new capabilities and numerous requests from Android users, we decided to provide pinch-to-zoom capabilities with this new over-the-air software update for Nexus One devices. There are a couple problems with this story: The Nexus One & Droid have supported multi-touch outside of the USA since launch, and HTC got multi-touch working as far back as Android 1.5. Why would it work outside the USA, but not inside Google’s home country? And if it was a hardware issue, how did HTC get it enabled so long ago? Flash forward to last week and the rumored comments Steve Jobs made about Google and how he didn’t believe the company mantra of “do no evil.” Mr. Jobs has also been fairly clear that he sees the Nexus One as an attack on the iPhone, and you start to see a picture of a possible end to a truce between the two companies. Is it possible that Google really did just finally feel the hardware was up to snuff? Well, there is no difference with the Nexus One this month and last month at launch, and if the foreign models had it from day one, why was there ever any delay in the USA? Things just aren’t adding up that this was some totally altruistic move on the part of Google, but perhaps was the next volley in a war that appears to be heating up between these two companies. Course, we all remember how Apple treats the other combatants in a war. We’ll see where this goes in the coming weeks, but it looks to only get nastier in the coming weeks and months.